The following are some tips on how to keep your chakras, energy field and general well-being clear and strengthened through psychic protection and spiritual hygiene. These steps have benefits for any person whether you are involved in spiritual services or not. Any human being can pick up the energy of others throughout the day and feel affected by them. I teach these methods in a number of my classes, so to anyone who has considered taking one, here is a tidbit of what you get, and to those who have taken them, here is a reminder! I am sure many have heard of what is called an empath, one who picks up on the emotions and feelings of others who surround them. I believe that we are ALL empaths, just as we are ALL psychic, but some are more naturally inclined or sensitive to it (many people commonly have both). Whether you feel you are a sensitive empath or have a degree of psychic ability, I honestly feel that ALL PEOPLE, regardless of their level of ability, can benefit from psychic protection and spiritual hygiene. Without psychic protection and spiritual hygiene, throughout our daily interactions we can experience a sense of anxiety, inability to focus, changes in mood, fatigue, and taking home feelings that do not belong to us. We are also susceptible to what is called psychic attack, which is when another person’s thoughts or feelings toward you impact you in a negative way, usually unintentionally and sometimes intentionally. **Specifically for psychics and spiritual healers, psychic protection and spiritual hygiene are the most important things you can do for yourselves! Every time we give a reading or healing session, we are crossing into a person’s energy field and once that connection is made, we may begin to experience the above symptoms and become quickly drained. I have realized throughout my experience as a psychic and spiritual teacher that there are psychic readers and healers out there who have never taken formal training and do not practice protection or cleansing before and after their readings or sessions. I had a practicing Psychic Medium come to me for help because she started giving readings and medium sittings without any type of instruction or mentor and her life started to head into turmoil. She was hearing spirits everywhere she went, spirits talking to her and telling her things when she did not ask them to connect, and had ended up with what I believe to be a few false spirit guides interfering with her life and psychic work. When she came into my office and I explained to her that protection was #1, and how to open and close down properly before and after a reading, she said knew none of it and had no idea she should be doing it. When you are properly closed down, spirits should NOT be communicating with you and you should not be bombarded with information about people unintentionally. So, I advise that clients, every day people, and especially readers and healers should be making this part of their everyday life. I will explain what is helpful for the every day person and for a psychic medium or energy healer. 1. Call on Archangel Michael to surround you with his presence and to protect you in all ways throughout the day. 2. If you believe in God, or a Goddess, or both, ask them for the same. Whether you believe in Jesus or not does not matter, he is a great protector as well and you can ask him to surround you with protection and fill you with his light and love. 3. GROUNDING: It is very important to stay grounded as a form of protection so that your consciousness is not flying high in the astral realm. Visualize roots like a tree, or anchors, coming from your feet and going all the way down into the earth, to the Earth’s core, and being held securely by the core. You can ask Mother Earth or Gaia to keep you grounded through this day and night. 4. PSYCHIC SHIELD: Visualize a bubble of orange light (orange is recommended because it deflects negative energy but you can use a color you feel most protected in, I do not recommend white unless you have been practicing spirituality for a long time) in the shape of a sphere or egg, surrounding your entire body and aura. Intend that it allows negative energy to escape, but does not allow it in. You can shrink and extend this shield at your will depending on how close you want people to get to you when you are around them in different setting or situations. 5. ZIP UP (As popularized by Donna Eden): When you are finished the above, stand up from your chair. Put your hands down at your groin area and pull them upwards to your chin, as if you were zipping up a sleeping bag. Then extend your arms up over your head and then coming down out to the sides like you are making a ray of sunshine with them. This seals up your energy field. 1. Wash yourself with salt water. You can make a bottle of salt water from an old shampoo bottle, water, and table salt (sea salt if you have it, but table is fine). If you get a shower at night, use it in the shower. If not, just put a few squirts on your hands, shoulders, head, and the bottom of your feet. It is good to put some on each chakra as well. If you take showers in the morning, just do it in the morning instead. 2. Ask Archangel Michael to remove any negativity or toxins that you may have accumulated throughout the day. Even though protection DOES work, we are human so we are not fool-proof. Cleansing is part of protection. 3. Many readers and healers like to smudge their space after their sessions. This is another helpful option. You can smudge your space, as well as your own aura with Sage to clear and freshen up the energy. Use all of the same steps as above, but make sure to open up and close down after the session. Opening up allows you to receive information (and/or healing energy) more clearly and accurately and closing down ensures that you are NOT receiving information you didn’t ask about, or still feeling energetically connected to your healing client, which can lead to scattered thoughts, anxiety, flightiness, and fatigue. 1. Do all protection methods listed above. 2. OPENING UP: Visualize a violet light coming down from above your crown chakra and running down through each of your chakras, through your feet and all the way down to the core of the earth. Then, see a white light starting to emanate at your root chakra, and as it comes up through each chakra, each chakra opens like a lotus flower, spreading all of its petals out. Bring this light through all of your chakras, opening each one, up through the crown chakra, and then send the white light up to God, Heaven, and the Beings of Light. Then, ask your Spirit Guides and Guardian Angels to connect with you and assist you in receiving clear and accurate information, and ask them to help give you the power to deliver the information you receive with confidence and compassion. 3. When you are ready to begin your session with your client, visualize your aura extending into theirs. Begin your reading or healing session. After you have finished your reading, be sure to CUT OFF the connection to your client. You can do this by stating with intent “cut off”, or brush both your hands together as if cleaning them off, intending that this cuts off the connection to your client. ***If you work for a psychic hotline, or take multiple sessions over again, you will most likely do several readings while being open and can save ‘closing down’ for when you are finished for the day. 4. CLOSING DOWN: When you have finished your session, you MUST be sure to close back down. First, bring that white light that you extended up to God, back down, through your crown chakra, and through each chakra, as each chakra now CLOSES. Allow the white light to slide back into sitting at the root chakra. Shrink your aura back to your body to be sure you did not forget to cut off from your clients. If you realized you forgot to cut off from one, just do one general one at the end of day, intending that you are cut off from all clients for that day. 5. SPIRITUAL HYGIENE: Spiritual Hygiene is even MORE important for those who provide psychic and healing services. Follow the steps listed above for spiritual hygiene, and especially use your salt water in the shower or do the quick version. For all people, it is also not a bad idea to do protection before you go to bed as well, as we are prone to astral travel and strange visits into other dimensions. People often find it difficult to put things like this into their daily routine, but once you do it for about two weeks, it becomes just as much of a habit as brushing your teeth, and equally, if not more, important. 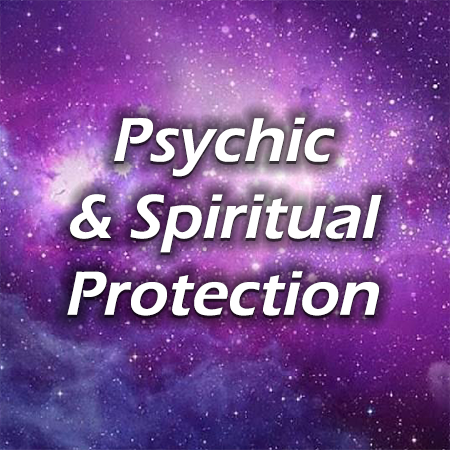 psychic protection, spiritual hygiene. Bookmark.